No, not the latest John Gresham to while away the class period. I’ll grant you that sometimes it would be nice to sit back and let those students study for another class or something while I catch up on grading, and yes, I have actually done that before, but we have a general policy in my class that there is no such thing as a “free day.” I don’t give them useless homework to do outside of class, but in return, the time they’re in my class is my time and we don’t waste it on purpose. An easy way not to waste a day with low attendance without leaving your absentees behind is to do some exploratory reading. Keep a stack/shelf of reading materials – high-interest magazines, children’s stories, easy novels, printouts of articles that have caught your eye (and might catch a student’s), local newspapers, even authentic resource apps on the iPad. Keep the pace fast – time students to find the answer to a comprehension question, identify the main idea, or locate a few important details. Take advantage of opportunities to teach reading strategies. What does the title tell you? What does the picture tell you? How do transition words make connections for you? What do we need to be careful about with word order variations? What words give us the emotional tone? Let students choose the reading material. Reading for pleasure is the single best way to increase vocabulary – for everyone. Pick up a book, and enjoy! This warms my little English teacher heart! Spanish teacher question, though: how much of these reading strategies do you teach IN Spanish, and how do you do it? I love questions like these because they inspire new posts. I sense one called “Why I don’t teach strategies in TL.” 🙂 No, I don’t teach many strategies in TL until students are nearing Intermediate High (AP in my classes). 4) it easily fits into the 10% of time ACTFL guidelines allow for English usage. When you say magazines and novels that would pique their interest, which ones are you referring to? Specifically magazines. For novels, check out my recommendations in this recent post. For magazines, visit a Latino grocery or general store if there’s one nearby and see what they have. 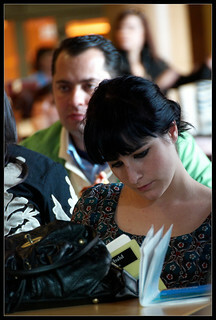 People en Español is often high-interest because of the movie-star focus and is widely available. Also, if your students have electronic devices, look out for a blog post coming later this month about several website offering teen-interest e-magazines.